"A silent nocturnal flight. An awareness gained while gliding through forests while sleep engulfs all else. The knowledge that dawn is approaching and being one of the first to see its pink and golden rays. 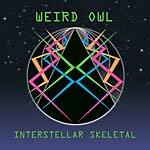 Weird Owl is a Brooklyn band that resides in the heaviness inherent in the convergence of imagination, poetry and sound. 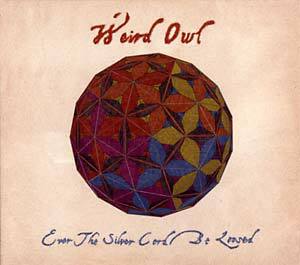 First formed in 2004 and through its odd mutations involving changes in approach and personnel, Weird Owl has arrived at the present day in its most solid and powerful formation yet. Taking its cues as much from the secrets of esoteric literature as from legendary acts such as the 13th Floor Elevators, Captain Beefheart & His Magic Band, Love and Crazy Horse, Weird Owl has managed to create a sonic mindscape that half resembles the last prayers of an ancient priest-king and half resembles the first translations of a future language fallen down from silvery space. In its first release for Tee Pee Records, entitled Ever The Silver Cord Be Loosed, Weird Owl has gathered together a tour de force of its peculiar craft -- hypnotic slithering guitar lines, the strange breathiness of cosmic synths, a dash of the punishing heaviness of the riff -- all contained within phantasmagoric song structures and expressed with the language of a true visionary experience. With lyrics that run the thematic gamut from esoteric meditations on the Tarot and astrology ('Mind Mountain') to past-life relapses involving the Battle of Little Bighorn ('13 Arrows, 13 Stars') to the Atlantean seascape of the subconscious mind ('In The Secrecy Of Oceans'), not to mention a myriad of other psychic and magical phenomena, Ever The Silver Cord Be Loosed could also double as a manual on what to do when you experience the loss of your body. There are many ways to be born, but Weird Owl would like to invite you to witness one of the weirdest: a birth experienced while already living."